Jared Rosholt Gear Feature « KOReps! UFC heads to Austin, Texas this weekend and Jared Rosholt looks to stay undefeated inside the octagon. The Team Takedown fighter will be fighting in his home state with many friends and family in attendance! 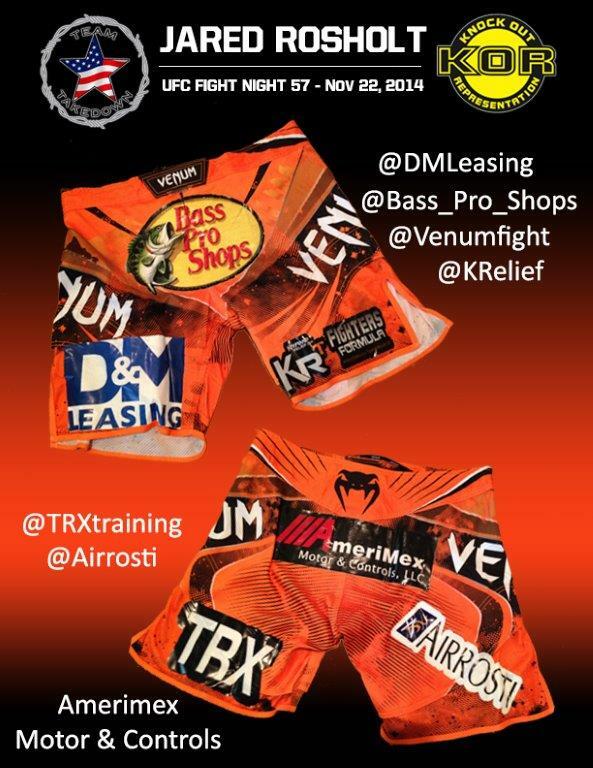 Here is an insider look at his fight night shorts and banner!